More fires start in the kitchen than any other room of the house, making it important to start here with fire prevention. 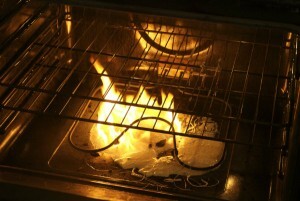 Cooking is always the top cause of house fires and the damage that cooking and grease fires cause can be devastating. You must always make sure you are taking the proper fire safety precautions in the kitchen to help prevent fires. As part of fire prevention month, please review these fire safety tips to prevent kitchen fires. Check your Outlets: The outlets in the kitchen are often used for high power appliances such as microwaves and toaster ovens. Make sure you have the right outlets installed according to the building code in your area. Ground fault circuit interrupter (GFCI) outlets are often a requirement for kitchens. You can learn the requirements for your local building codes by contacting your city government. Clear the Cooking Areas: You must keep cooking areas near the stove and oven free of items such as potholders, towels, food packaging, paper towels, and cooking oil because these items could start a fire. It helps to keep your oven and stove top clean because leftover food debris can also start fires. Clean Microwave Cooking Vent: Cooking vents that filter the air during cooking can be found in microwaves and stove hoods. Make sure you remove and clean these vents regularly according to the manufacturer’s instructions. Properly Plug in Appliances: Many kitchen appliances use a lot of power which makes it important to make sure they are plugged in properly. It is best to unplug appliances that are not in use. Fire Extinguisher: Keep a charged fire extinguisher handy so that you can use it at a moment’s notice. Smoke Detectors: You should have a smoke detector installed in your kitchen as well as every room in your home. Test them often and change the batteries when needed. Watch this video for easy tips, and you could save your home from accidental kitchen fires. Effective fire prevention begins in the kitchen where the majority of house fires start. By following these fire prevention tips, you can effectively fireproof your kitchen and provide the right maintenance to prevent devastating fires. 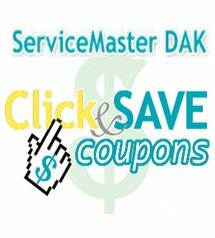 If you still experience fire damage in your kitchen despite following these fire safety tips, make sure you call ServiceMaster DAK for fire damage restoration as soon as the fire is out. We can effectively clean up and restore the damage caused by fires in your home and we are available 24/7 to respond.